Members: Dale Cahn Chairman, Bill Edner, Arthur Gladfelter, Rusty Bitler, Don Yougn, Larry Dvorshock and Solicitor Scott T Williams. 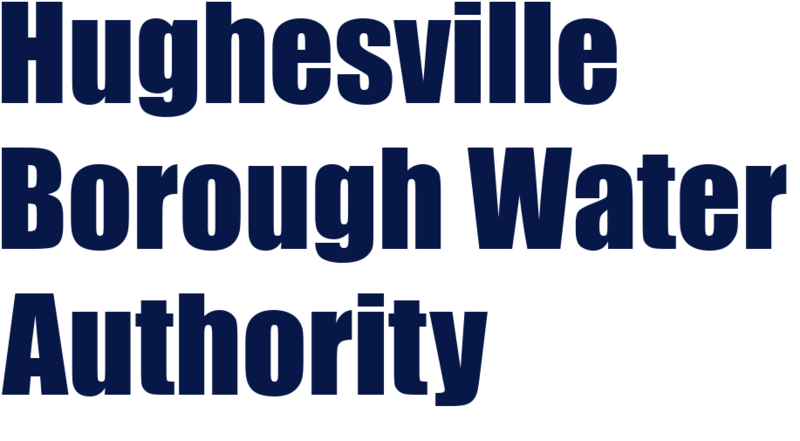 The Hughesville Borough Water Authority is committed to its fundamental objective of providing water service of the highest quality for drinking, industrial and general municipal uses at a reasonable price to Hughesville and the surrounding Wolf Township community. We want you to understand the efforts we make to continually improve the water treatment process and protect our water resources. We are committed to ensuring the quality of your water. Our water sources are 3 groundwater wells drawing from alluvial deposit aquifers. We currently supply to over 1100 customers. Water rates are $20.00 per EDU per quarter and $5.50 per 1000 gallons consumed.